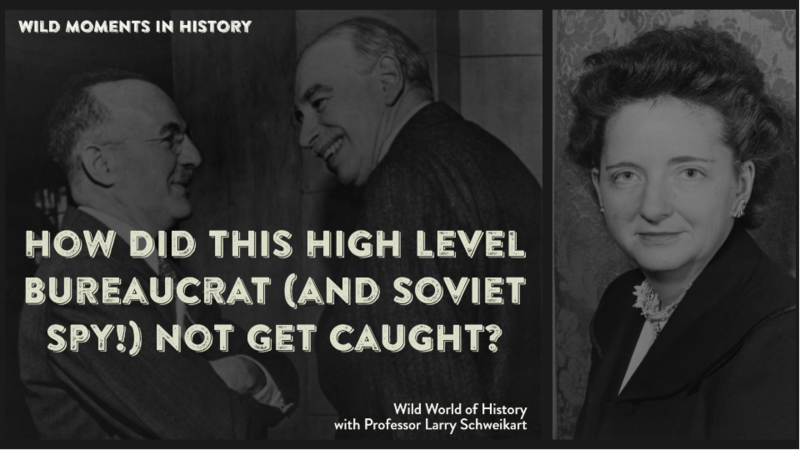 Did you know that the U.S. assistant secretary of the Treasury in World War II was a Soviet spy? Harry Dexter White had served in the U.S. Army before he attended Columbia and Stanford, then received a Ph.D. in economics at Harvard before accepting a job at the Treasury Department. White worked his way up to become a close adviser to the Secretary of the Treasury Henry Morgenthau at the time that he was devising the post-World War II peace. As early as 1939 White was identified by Whittaker Chambers as a communist, and in 1945 a captured Soviet courier Elizabeth Bentley confessed to the FBI that White was transmitting secrets to the USSR. Despite the fact that the FBI passed this information up to the office of the President, no action was taken. Quite the contrary, when Franklin Roosevelt died, the new president, Harry Truman, named White as the U.S. director of the newly created International Monetary Fund! It is not known if Truman’s attorney general, Tom Clark, who received the reports, told Truman. Certainly the Senate did not know when it confirmed him in February 1946. Six years later, Truman testified that he had promptly fired White when he learned of his activities—but in fact, White remained at the IMF through June 1947, some two years after the FBI alerted the White House. White quit on his own—he was not fired—when Clark finally empaneled a grand jury to investigate the charges. During Elizabeth Bentley’s testimony to that grand jury, she revealed that White passed U.S. Treasuring printing plates for Allied military marks (i.e., German money) to the Soviets, who then printed vast quantities to inflate the West German currency and destabilize the country. Truman was not informed of Venona—but he was given the FBI information by Clark. While at Treasury, White also massaged other Soviets into the Department, especially Harold Gasser, then buried any reports on Gasser’s spying activities that came to his desk. When Senator Joe McCarthy, whom many ridicule today, sounded the warning about Soviet agents in the U.S. government, he was referring precisely to people such as White. In fact, McCarthy’s estimates were low. He only scratched the surface. Christopher Andrew and Vasili Mitrokhin, The Sword and the Shield: The Mitrokhin Archive and the Secret History of the KGB.